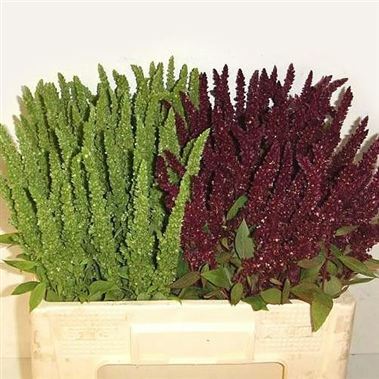 A superb mix of deep red & green upright Amaranthus - 55cm stem lengths & wholesaled in batches of 50 stems. Amaranthus, (collectively known as Amaranth and often called Love Lies Bleeding), is closely related to Celosia. Amaranthus is a traditional food plant in Africa and has the potential to improve nutrition.